A $150 million consumer products company lived through multiple equity events since its founding. The private equity group (PEG) in the latest leveraged purchase successfully moved the company founder out the door and brought in a New2 CEO. New,2 as in both new to the company and a first time CEO. The credit crisis of 2009 struck after the deal, and the private equity firm needed more cash to squeeze as it became harder to service and rewrite the debt. Within the first month on the job, the CEO tasked the director of operations to search for supply chain cost reduction opportunities. The director was not surprised, as this was the fifth senior leader she had reported to since she started as the lone logistics clerk 10 years before, and all had claimed cost reduction opportunities in the supply chain. She was ready to look at the supply chain, as she questioned the logistics network design. The company had four different market channels, each as its own business with its own distribution center. The director saw an opportunity to consolidate into a single distribution point in the local DC, which she felt had spare capacity. She wondered about cost reductions from the consolidation, thinking that could be enough waste for the CEO. The director wanted to make an objective decision based on data. She had deep concerns about her staff, who were worried that they could be eliminating their own jobs. Remembering the last network project, where the numbers “shifted” to support the desired goal, and thinking about her team’s current workload, she asked the CEO for outside help. The director engaged us after a telephone interview; our logical approach to the problem won us the business. We immediately started a two-phase project, focusing first on the feasibility of options and second on the implementation of recommended changes. Even if the analysis said to keep the distribution operations in-house, we would make cost and process improvements. In a collaborative approach with the director and her team, we examined the entire supply chain from origin to customers. All companies have tortured processes with conflicting business rules, specifically, companies that grow organically over time. The best way to identify tortured processes is value stream mapping, which can find redundant tasks and activities that don’t add value. Working shoulder to shoulder with the operations team, we mapped the supply chain process, discovering numerous unnecessary steps and manual interventions. We identified the costs associated with all the task redundancy. We determined the core cost of the physical storage and movement of company inventory through the warehouse. We created pro forma budgets of the current operations and then modeled the financial effects of any changes to the distribution network. Armed with this data, we developed an operations cost model for the current facility, sensitive to changes in shipment volume and stocking levels. The company outsourced Internet fulfillment, a growing part of the business. The rates appeared reasonable. We audited the actual costs as billed by the 3PL, finding small errors in the client’s favor that totaled almost 9% of the annual fees. We identified internal support costs, effort and expenses for interfacing with the 3PL. With a good handle on the cost of internal distribution, we now needed real numbers to work with for outsourcing. We put together a solid distribution requirements document that combined all the distribution volume into a single facility. The package included documentation about systems, customer expectations, volumes and product characteristics. The analysis defined the space needed to support operations over the next five years. Even if all the volume flowed through the company DC, the 50,000 square feet was too much space. If properly racked and laid out, the company could operate with only 30,000 of space. However, the DC was stuffed with over 20,000 square feet of obsolete inventory. The more the small internal team worked on the project, the more obvious it became that moving consolidated operations to a 3PL located in the Midwest made business sense. Our team contacted executive management of different 3PL operators to put together budgetary costs for outsourcing into a single facility. These were not quotations, but rather more design and budgetary in nature, where savings through leverage was available. We worked with two 3PL teams to develop a model that worked in their co-located/multi-tenant facilities, helping the 3PL leverage labor and transportation and lowering the cost of operations for the 3PL and for our client. Once it was clear outsourcing would work and would reduce costs, we developed a presentation with the director that focused on two issues: offloading the obsolete inventory first and then consolidating all of the distribution operations into a single 3PL facility in Kansas City. With the decision to move ahead, we worked with the 3PL to solidify the requirements and services to create a cost-effective solution using a multitenant operation. Expecting order of magnitude growth in e-commerce, we worked with the 3PL to leverage parcel rate discounts. The client’s additional parcel volume helped lower current shipping costs for the client and the 3PL. Using the 3PL’s substantial WMS EDI capabilities, we developed processes that eliminated manual internal methods and vendor compliance issues. We worked with the 3PL early in this process, so they could understand the company’s history, future, and strategy for the next five years (with the expected growth by market segment and product). In this way, we created a value-based business relationship between the client and the 3PL. We worked with the client through the implementation phase and beyond, making sure both client and 3PL addressed their systems interface and business rule definitions. We worked with their team to develop a four-week plan to move over 15 truckloads of active inventory to the 3PL while shifting new stock delivery to the new location. Creating stock in the 3PL first, we shifted shipping in week three and cleaned out the old facility in week four. In the end, the cost savings from the move to the 3PL brought the end of employment for the DC team. The DC manager said, “I outsourced my job,” before he left. The company continued to struggle as it shifted focus in the great recession. Just a week after the successful move to the 3PL, even the director of operations discovered she had been outsourced. Over the past decade, the company continued to change, with new PEG ownership, new CEOs, and new plans. The only constant is the relationship between the client and the 3PL that continues eight years later. The plan that we put together with the director of operations and the DC manager worked and continues to work, even with a complete turnover of personnel at the client company. $70,000 in Consulting & Coaching - $125,000 in execution. 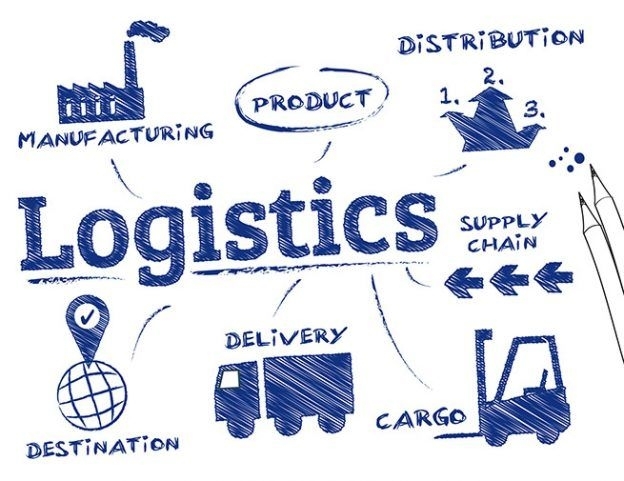 Is your current logistics model the best for your current business, or for your future? Suspect that internal parties may twist the numbers, and the results in their favor? Perhaps you need an outside team that focuses on what is best for the company and its future? Give us a call to get an independent and fair assessment.